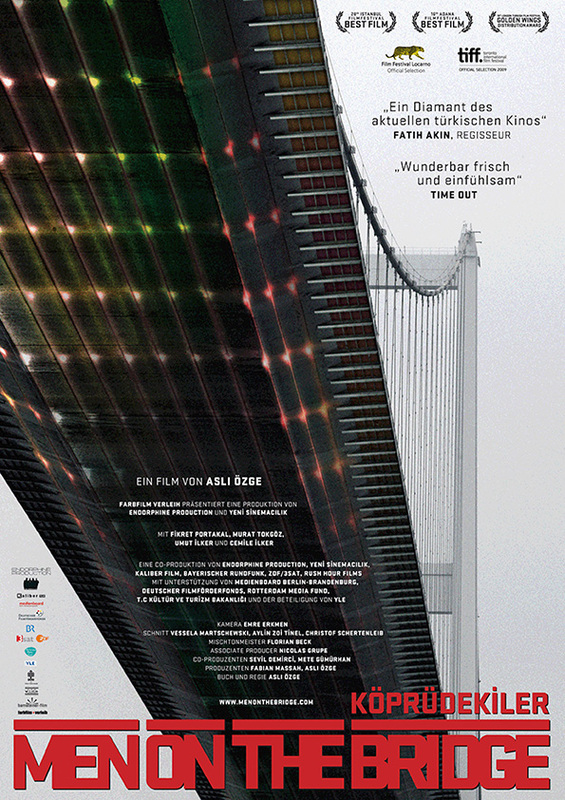 Aslı Özge is referring to ALL OF A SUDDEN, her third feature as writer-director, and her first set in Germany, following MEN ON THE BRIDGE (2009) and LIFELONG (2013), both shot in her native Turkey. Özge is undoubtedly one of the most talented filmmakers to have emerged from that country; small wonder she has received encouragement from Nuri Bilge Ceylan. The Istanbul festival has repeatedly recognized her gifts: her debut feature (made after several shorts and documentaries) was awarded the Golden Tulip for Best Turkish Film, her second won the Best Director and Best Cinematography prizes, and the third carried off the FIPRESCI award. Clearly, however, her work also has international appeal; after their Panorama Special screenings at the Berlinale, LIFELONG and ALL OF A SUDDEN traveled widely around the world. 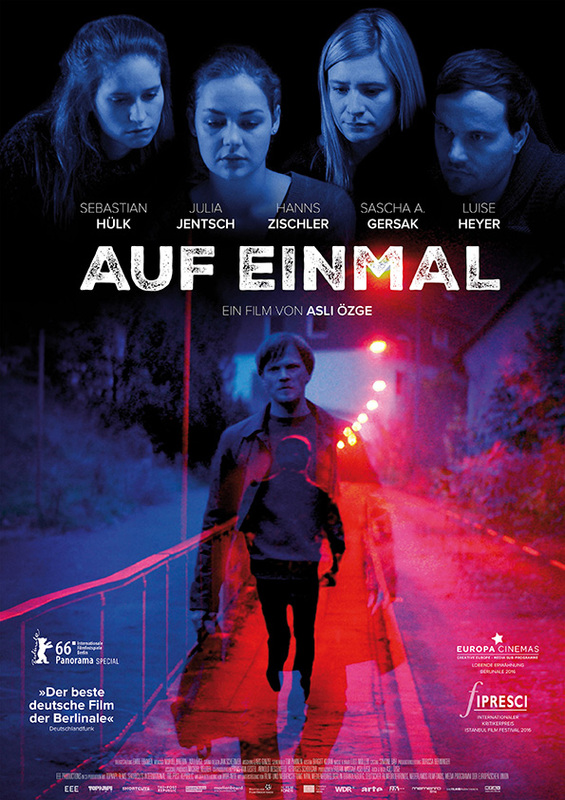 And in Germany itself, the latter film rightly received extremely favorable reviews; the fact that it was a success with both critics and audiences testified to Özge’s firm grasp not only of the German language but of the country’s culture, customs and mores. She pursued her ambition by studying at the universities of Istanbul and Marmara, and then in Berlin, where she studied Philosophy and set up a production outfit with Emre Erkmen, the cinematographer responsible for the supremely elegant, expressive imagery that distinguishes her films. Her work to date is notable not only for its consistently high standards – in writing, mise-en-scène, performance, sound design or whatever – but for its range in terms of content and style. MEN ON THE BRIDGE, an account of the lives of various people linked by their daily use of the Bosphorus Bridge, feels at times almost like a documentary; LIFELONG, a study of a troubled marriage which occasionally brought to mind no less a master than Antonioni, impresses with its subtly expressionist images, pregnant pauses and meticulously measured pace; while ALL OF A SUDDEN, about the effects of a young woman’s death on the lives of a group of friends who barely met her, performs a precarious but expert balancing act that mixes mystery and suspense, psychological study and social commentary, ethical rumination and bracing black humor. Özge’s comment that her films so far have dealt with characters who feel somehow stuck or stifled is highly pertinent: all three movies are notable for their sure sense of place and space, be it topographical or architectural. Whether set in Turkey or Germany, they are at once wholly convincing and vividly evocative. Evidently, Özge is someone who prepares her films meticulously. When writing a script, she is careful not to reveal too much – “I prefer things not to be too explicit, and leave room for audiences to make guesses about what’s happening and why, to make their own judgements about characters” – and then, after what can be a lengthy casting process, she likes to discuss the characters and their backstories with her actors in detail. That said, she also acknowledges the value of serendipity and surprise.